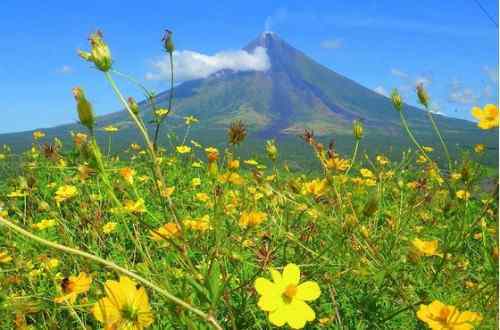 Mayon Volcano, the towering landscape signature of Bicol Philippines, can meet your simple-to-elegant quest for natural wonders. It is both a bother and a benefit to the inhabitants in its environs. The volcano is 553 kilometers southwest from Manila Philippines. It is a strong natural feature of the Philippines in much the same way as the Chocolate Hills of Bohol, the Banaue Rice Terraces and the underground river in Palawan. Its two faces of bane and boon is a constant element of challenge and opportunity to the Philippines as a top destination choice to see, live or invest in. Some insightful presentations would explain why the volcano can merit your simple-to-elegant quest for natural wonders. 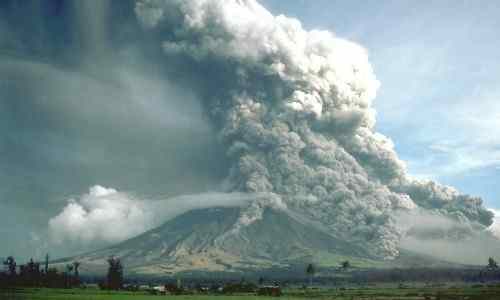 There had been 57 major eruptions recorded by PHIVOLCS (Philippine Institute of Volcanology and Seismology) during the Feb 19-24, 1616 to July 14, 2009 interim covering a period of 400 years. The most destructive eruption occurred on February 1, 1814. It buried the town of Cagsawa with ash at 30 feet in thickness, killing 1,200 people. 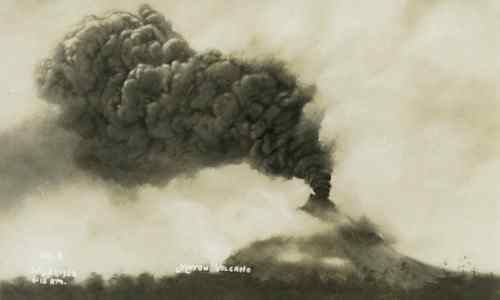 The longest uninterrupted eruption was on June 23, 1897 which lasted 7 days of fire raining and killing 500 people. It buried the village of Bacacay in 15 meters of lava. It is the Philippines’ most active volcano and the most popular tourist destination in the Bicol Region. The crater at the summit measures 200 meters in diameter. It has an elevation of 2,462 MASL. It is the Philippines' most active volcano. 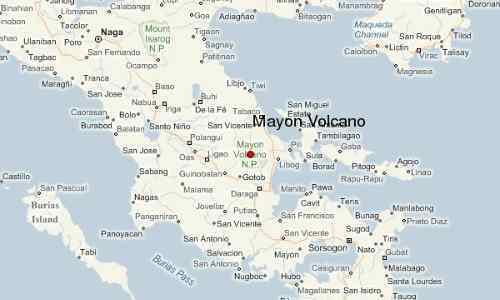 It is about 10 kilometers from the Gulf of Albay. The volcano has steep upper slopes averaging 35-40 degrees. The name Mayon is derived from the Bicolano word Magayon, meaning "beautiful." 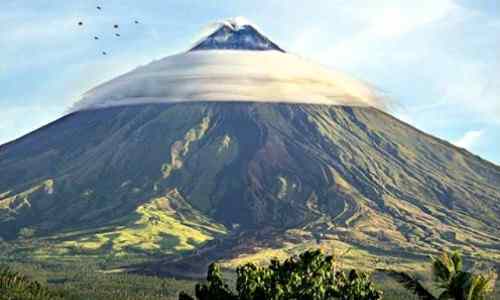 In 2008, Mount Mayon was nominated for the New 7 Wonders of Nature but faded into the Top 25. It is the Philippines' most active volcano. It is shaped in almost perfect symmetry. The Legaspi City Airport is a small regional airport situated right by the foot of the volcano. It can be reached by air in 45 minutes. 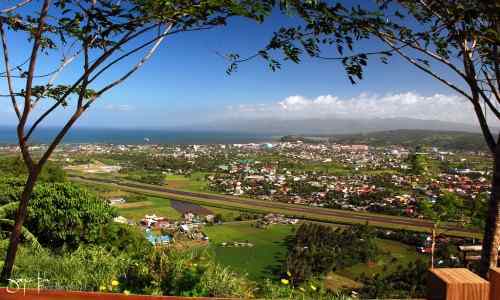 It is the main landmark of Albay Province, Philippines. As a climbing option, the volcano is dangerous even when it is silent. Its steep slope is difficult and has already claimed the lives of several climbers. Rock avalanches and landslides are common. The best time to visit the volcano is between the months of March and May. A charted summit climb takes 2 days passing over 2 Camp sites. Once you reach Camp 1, it takes 2 hours to reach Camp 2. From there it will take another 2 hours to make it to the summit. 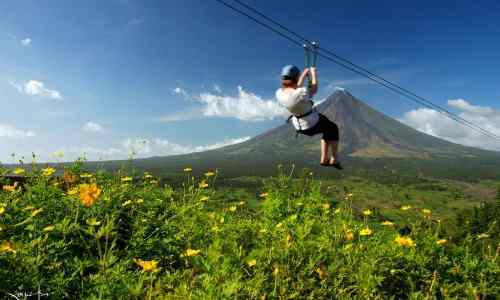 Tourism in the Bicol region rose in prominence as one of the Philippines’ top travel destinations as well as a business and investment haven with the volcano as its anchor signature. 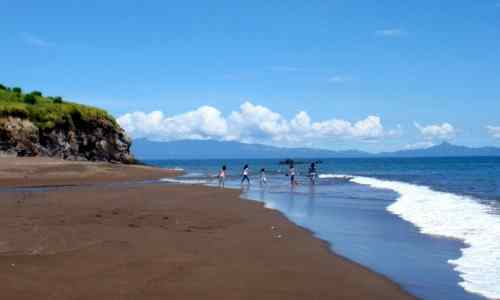 For example, the black sand beaches of Albay resulting from the volcano's outpours have turned out as tourist attraction especially among the Philippine resorts. 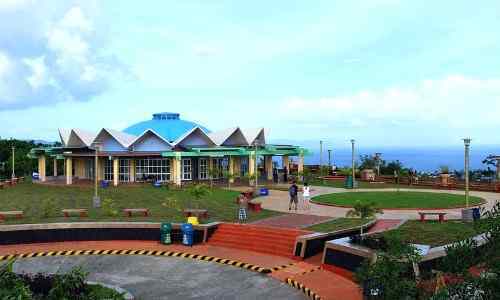 Another is the emergence of Legazpi City’s Ligñon Hill Nature Park as one of the city’s top tourist attractions.